Centers for Disease Control and Prevention reports: as many as 67 million Americans – one in three adults precisely have hypertension, or high blood pressure. 2009 statistics show that 350,000 deaths occurred in United States primarily due to high blood pressure. Stress and external factors have a little role to play in high blood pressure condition – the main cause is a poor diet. Scientists and nutritionists believe that foods that promote cardiovascular benefits help a lot in treating this disorder naturally. 1. Garlic – It’s an aromatic herb than can control blood pressure. 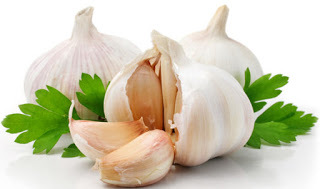 A test study published in Pharmacotherapy in 1993 noted that a garlic preparation having 1.3 percent allicin, given to patients reduced their sitting blood pressure within the first 5 hours, and there was a surge in diastolic blood pressure 5 to 14 hours after the dose. 2. Hot chilies – It can solve lots of cardiovascular issues – in addition to high blood pressure. Hot chilies are loaded in capsaicin, an odorless compound that bestow on them their trademark heat. In layman’s terms the more capsaicin gets stored in chili the more hotter it’ll get. One of the best examples of chili is cayenne pepper. In addition, capsaicin is a vasodilator, implying that it can expand blood vessels and boost blood flow. A study reported in Cell Metabolism discovered that capsaicin fed to rats having genetic hypertension, on a long-term basis helped lower their blood pressure. 3. Cacao – In the eyes of the indigenous tribes of America – cacao is a medicine first and a food second. It’s blessed with 300 phytochemicals that makes it one of the most antioxidant-rich foods in the world. A 2011 study published in Acta Medica Indonesiana reported that dark chocolate helped lower blood pressure in prehypertensive subjects within 15 days of intake.